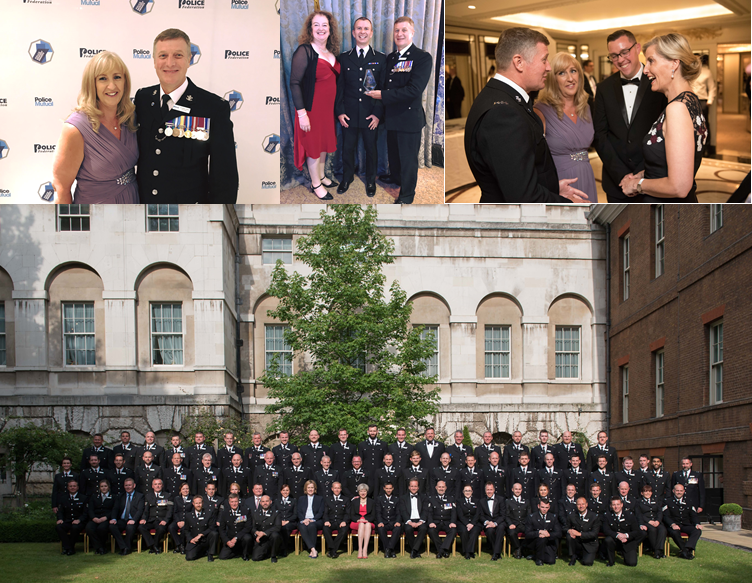 Huge congratulations to all the award winners at the Police Federation #PoliceBravery Awards held at a fitting event at London’s Dorchester Hotel last Thursday. North Wales Police nominee, PC Stephen Hooper was accompanied by his wife Michele and Sergeant Mark Jones representing the North Wales Police Federation. It was also an honour to have Assistant Chief Constable Richard Debicki attend plus Sam Roberts from the Police Federation of England & Wales. Colleagues from Northumbria won the overall award following their truly heroic act when tackling a man armed with weapons including a loaded gun. These acts by our brave officers are truly amazing and showcase why we have the best police service in the world.